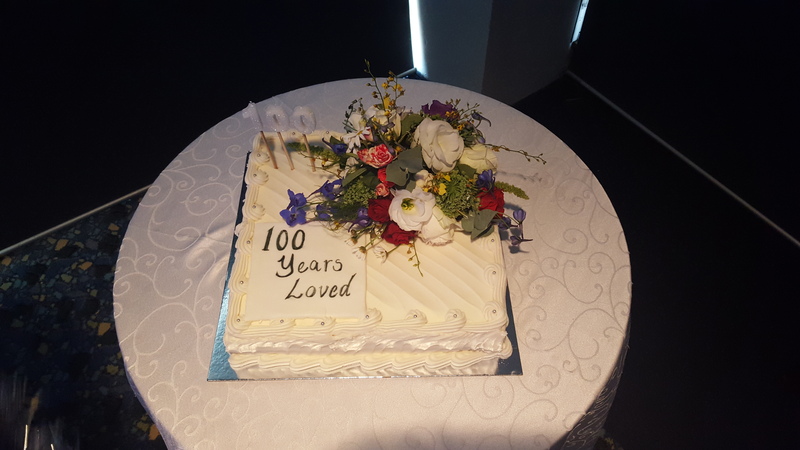 On Saturday 8 May our parish rector and a small group of parishioners participated in one-hundredth birthday celebrations for Vasily (“Bill”) Bukovec, one of the builders of our church. 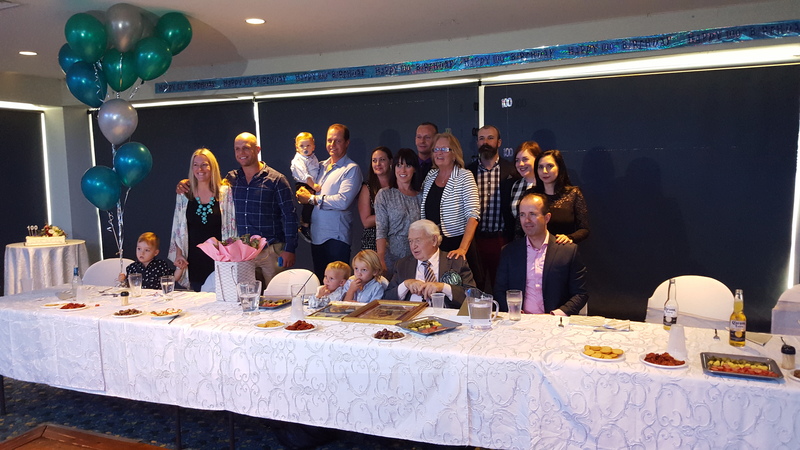 At the festive lunch in Toukley on the NSW Central Coast, Father James presented Mr Bukovec with a parish gramota in recognition of the occasion and of his long association with and contribution to our parish. 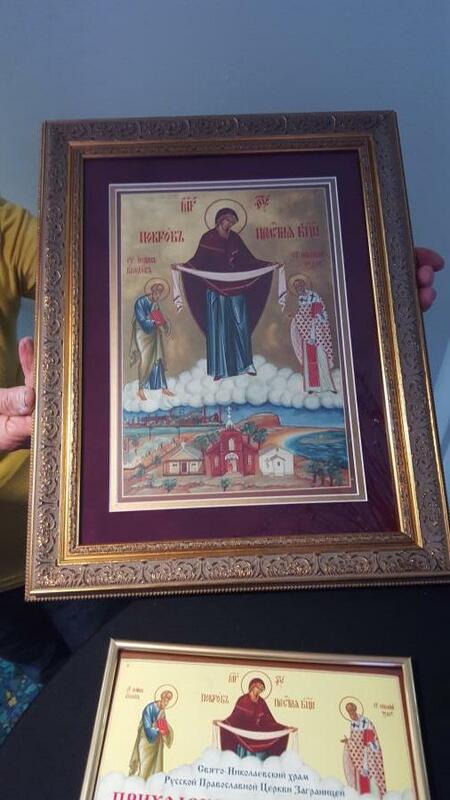 Mr Bukovec was also given a beautiful framed copy of our treasured icon of the Mother of God, “Protectress of Newcastle”. 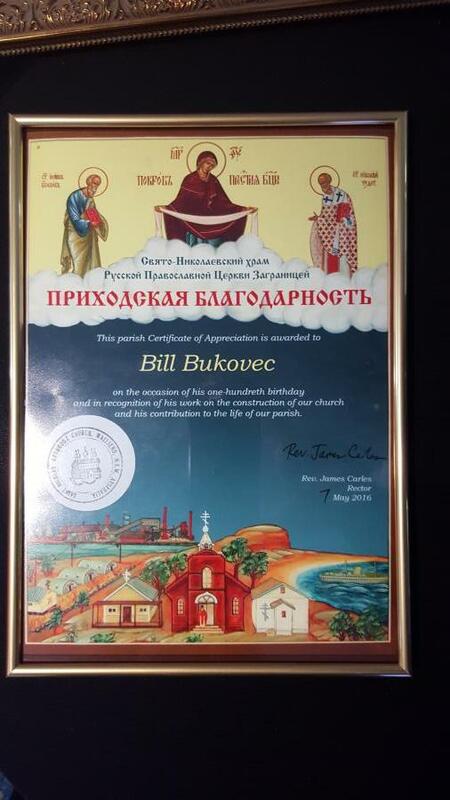 We wish Mr Bukovec good health and strength for years to come!